All you need for scampi sauce is 3 tablespoons of unsalted butter, 2 minced garlic cloves, 1/4 cup of dry white wine, salt and ground black pepper. This sauce is usually served with shrimp, pasta or rice as an accompaniment. To make the scampi sauce, melt the butter in a frying pan at medium heat until foaming. Add the minced garlic and season with salt and pepper to taste. Reduce the heat and simmer for about 30 seconds, stirring occasionally, until the fragrances blend together. Add the white wine and cook the mixture for one minute or until the alcohol evaporates. Add shrimp and cook for an additional three to four minutes, until the shrimp is pink and opaque. Alternately, serve the sauce on the side as a complement to seafood or other white meats. What Is a Good White Sauce Recipe for Seafood? 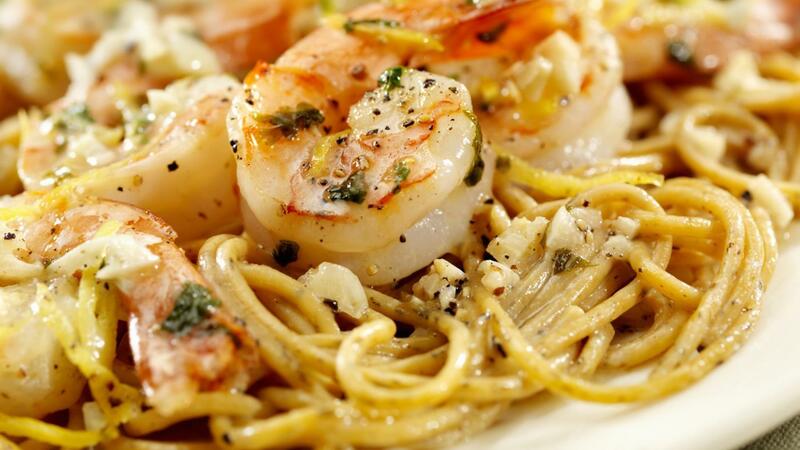 How Can You Make a Great Shrimp Scampi Sauce? What Is an Easy Onion Soup Recipe? What Is a Good Alfredo Sauce Recipe? How Do You Make Tartar Sauce?